The Pastoral Center component mirrors the parish model. It is a place where people with shared interests can come together as a community and find solace, strength, and friendship. Most parishes are defined by geography: at Abraham House, incarceration, or the risk of incarceration, defines the parish. Persons of all faiths are welcome at Abraham House and families have the opportunity to draw on their own religious beliefs to deepen their faith. 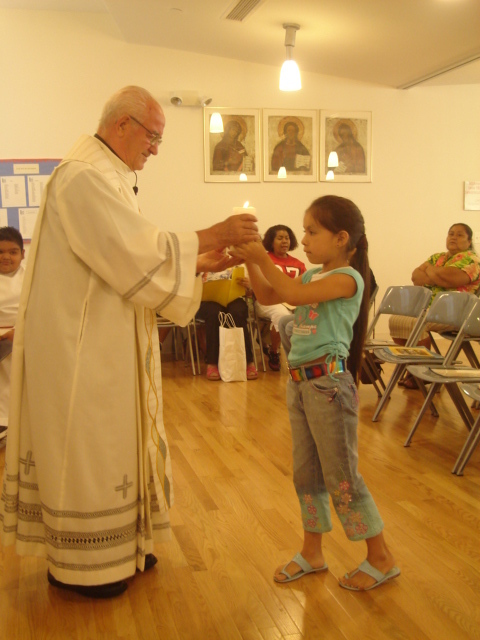 The program offers religious education for youth, spiritual counseling, and Catholic Mass. On Saturdays a communal hot meal prepared by program participants and volunteers is served, and residents, families, staff and friends sit down together to share as a community.